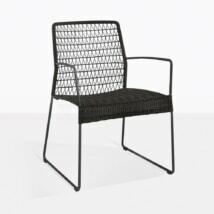 The Breeze Outdoor Dining Arm Chair in Black is a stark example of style, versatility and comfort. 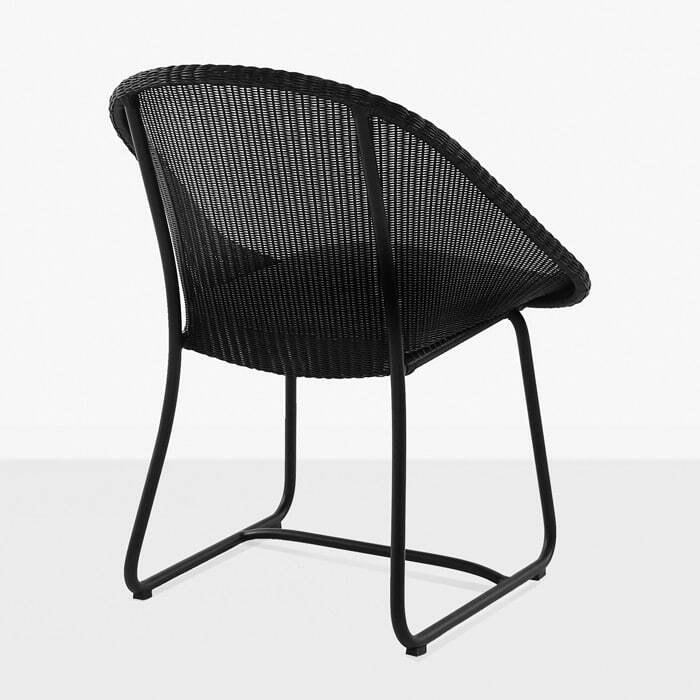 As a dining chair, you get the finest color and materials on the market with the Ecolene® synthetic wicker fiber and a beautiful black powder coated aluminum frame. 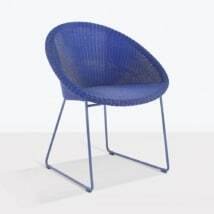 This aluminum frame is lightweight and beautifully styled; a perfect match for the tight Ecolene® weave on the seating surfaces, which offer a contemporary feel and look. 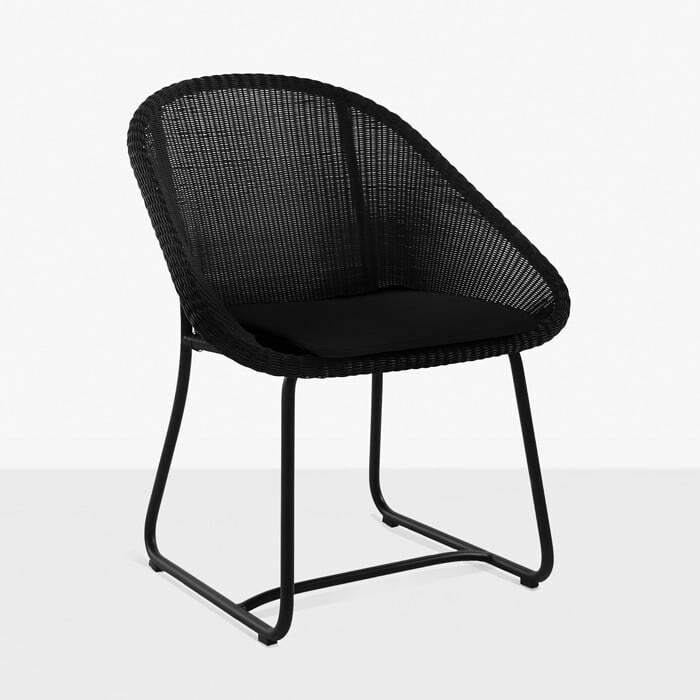 Perfect for so many dining tables, this black chair works with just about any other material or setting, offering a bold take on contemporary styling and helping to tie together your entire space. 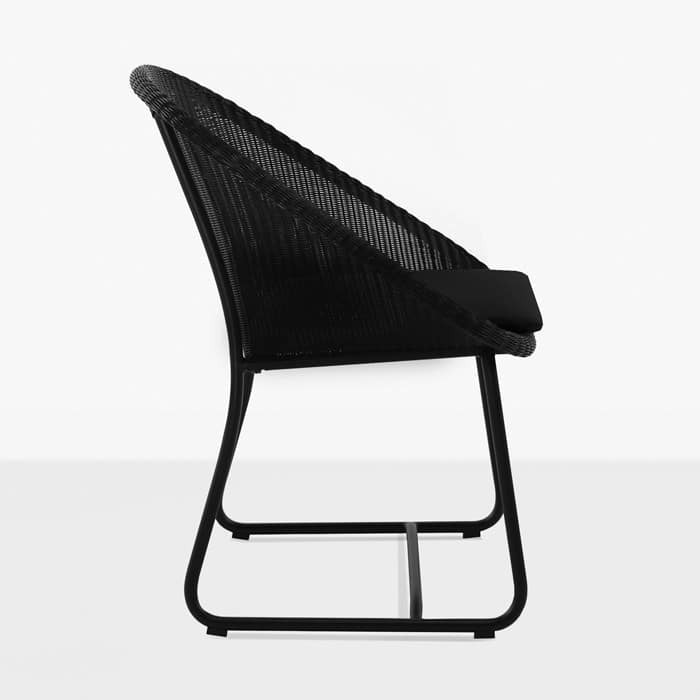 Black Sunbrella® cushion included.